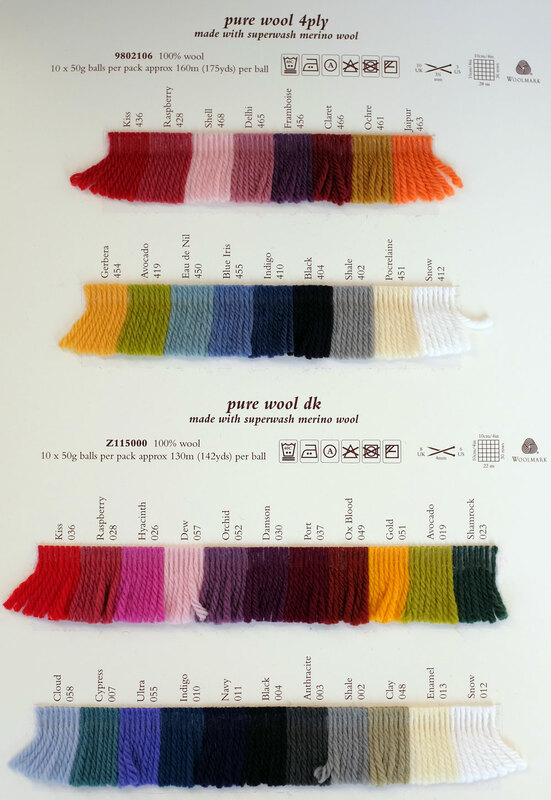 Yarn Type SALE 10% OFF! A robust, hard wearing yet soft 100% wool yarn. It is machine washable and therefore lends itself perfectly for knits for all the family. 100% super wash wool. (per ball) Approximately 125 metres (137 yards) per 50g ball. Machine washable (40 deg). Martin Storey's collection of 25 brilliant knits is a floral fiesta. It has every kind of flower-inspired design for you and for your home, from bags with applique flowers to garments, accessories, cushions and throws with either textured or colourwork flowers or flower embroideries, all in our brilliant colour palette. Yarns Used: Wool Cotton 4 Ply, Wool Cotton, Pure Wool DK. Knit this quirky bunting in the beautiful Pure Wool DK, with 3 different motifs for you to mix and match, this project will get your celebrations off to a great start. KNIT YOUR OWN SHAUN THE SHEEP! To celebrate the release of Shaun the Sheep The Movie, Rowan have launched a FREE Shaun the Sheep Knitting Pattern! PLEASE NOTE: Although the pattern states 25g of shade 012 White and 25g of shade 004 Black in Rowan Pure Wool DK, we are told this is a bit tight and Rowan are recommending a 50g ball of each shade. Knit and crochet this Owl Doorstop a free pattern part of the DC and Tutor competition designed by Sara Thornett using the exciting Pure Wool DK (wool) and Baby Merino Silk DK (merino super wash wool and tussah silk) using the fairisle technique and wit crochet wings, this pattern is for the intermediate knitter.